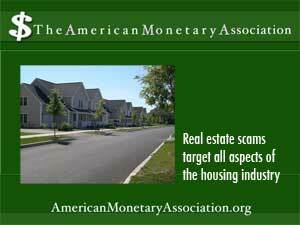 Housing scams come in so many forms that it’s hard to catch them all. Scams are constantly evolving to take advantage of changes in the landscape, frequently targeting the most vulnerable. As we’ve seen in this week’s intermittent series of posts on real estate scams, fraudulent practices harm not just individual victims but the housing market as a whole, with ripple effects into the economy. buyers are told to send a payment or deposit to lock in the deal – then the scammer pulls the ad and vanishes. 9. Offers and propositions initiated outside the country. These, such as the Nigerian scam, involve an individual in trouble, who has a lot of cash on hand ready to invest in a property. Although foreign investors are legitimate, these scams typically demand money from the victim in order to complete all or part of the transaction.